Intercession of the saints is a doctrine held by the Eastern Orthodox, Oriental Orthodox and Roman Catholic Churches, and some Anglicans, that saints may be asked to intercede (or pray) for others. The doctrine of requesting intercession from saints can be found in Christian writings from the 3rd century AD. The 4th-century Apostles' Creed states belief in the communion of saints which certain Christian churches interpret as supporting the intercession of saints. Following the stream of Judaic-Christian tradition, Judaism allows for the petition of the saints. (See discussion below.) Clarification should be made that in the Lutheran teachings all believers are saints, but prayer to saints who have been transferred to the Church Triumphant is forbidden. Advocates of the doctrine say that Jesus' parable of The Rich Man and Lazarus in Luke 16:19–31 indicates the ability of the dead to pray for the living. On the basis of Christ's intercession for believers, who is present at the Right hand of God (Romans 8:34; Hebrews 7:25), it is argued by extension that other people who have died but are alive in Christ may be able to intercede on behalf of the petitioner (John 11:25; Romans 8:38–39). Aquinas quotes Revelation 8:4: "And the smoke of the incense of the prayers of the saints ascended up before God from the hand of the angel". Both those for and against the intercession of saints quote Job 5:1. Roman Catholic Church doctrine supports intercessory prayer to saints. Intercessory prayer to saints also plays an important role in the Eastern Orthodox and Oriental Orthodox churches. Also some Anglo-Catholics believe in saintly intercession. This practice is an application of the Catholic doctrine of the Communion of Saints. It is understood that some of the early basis for this was the belief that martyrs passed immediately into the presence of God, and could obtain graces and blessings for others. A further reinforcement, of the same idea, was derived from the cult of the angels, which, while pre-Christian in its origin, was heartily embraced by the faithful of the sub-Apostolic age. According to St. Jerome, "If the Apostles and Martyrs, while still in the body, can pray for others, at a time when they must still be anxious for themselves, how much more after their crowns, victories, and triumphs are won!" The Catholic doctrine of intercession and invocation is set forth by the Council of Trent, which teaches that "...the saints who reign together with Christ offer up their own prayers to God for men. It is good and useful suppliantly to invoke them, and to have recourse to their prayers, aid, and help for obtaining benefits from God, through His Son Jesus Christ our Lord, Who alone is our Redeemer and Saviour." Intercessory prayer to saintly persons who have not yet been canonized is also practiced, and evidence of miracles produced as a result of such prayer is very commonly produced during the formal process of beatification and canonization. Notwithstanding those views mentioned herein below of specific early Protestant Churches, some modern Protestant churches strongly reject all saintly intercession, which they believe is contrary to Bible verses 1 Timothy 2:1–5 and Deuteronomy 18:10-11. They also say there are no examples in the Bible of anyone requesting the intercession of those who have died—Jesus Christ being the lone exception because he is alive and resurrected and because he is both human and divine. The debate lingers all depending upon one's own independent interpretation of Scripture(s), their contexts, etc. Early Protestant views on Saints, their veneration, and their intercession vary, clearly as a function of each sect's independent interpretation of scriptures, and in some cases each sect's independent interpretation of which books in the Bible even comprise the scriptures. The first Anglican articles of faith, the Ten Articles (1536), defended the practice of praying to saints, while the King's Book, the official statement of religion produced in 1543, devotes an entire section to the importance of the Ave Maria ("Hail Mary") prayer. However, the Thirty-Nine Articles (1563), as well as the Methodist Articles of Religion (1784), condemn the "invocation of saints" as "a fond thing, vainly invented, and grounded upon no warranty of Scripture, but rather repugnant to the Word of God" (Article XXII - Anglican; Article XIV - Methodist). 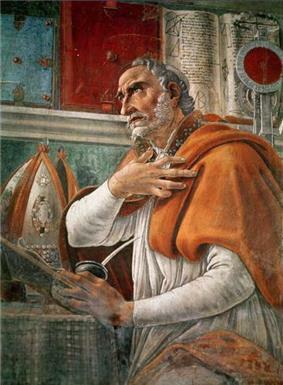 However, theologians within the Anglican Communion make a clear distinction between a "Romish" and a "Patristic" doctrine concerning the invocation of saints, permitting the latter, but forbidding the former. The Oxford Movement saw a revival of the Patristic practice, which is now found among High Church Anglicans and especially Anglo-Catholics. William Tyndale had been an early opponent of the practice. Traditional Lutheran belief accounts that saints pray for the Church in general, but are in later dissertations as not quite mediators of redemption. Martin Luther, the founder of Lutheranism, approved honouring the saints  by saying they are honoured in three ways: firstly by thanking God for examples of His mercy ; secondly by using the saints as example for strengthening our faith, and thirdly by imitating their faith and other virtues. There is some evidence of a Jewish belief in intercession, both in the form of the paternal blessings passed down from Abraham to his children, and 2 Maccabees, where Judas Maccabaeus sees the dead Onias and Jeremiah giving blessing to the Jewish army. In ancient Judaism, it was also popular to pray for intercession from Michael in spite of the rabbinical prohibition against appealing to angels as intermediaries between God and his people. There were two prayers written beseeching him as the prince of mercy to intercede in favor of Israel: one composed by Eliezer ha-Kalir, and the other by Judah ben Samuel he-Hasid. Those who oppose this practice feel that to God alone may prayers be offered. In modern times one of the greatest divisions in Jewish theology (hashkafa) is over the issue of whether one can beseech the help of a tzadik – an extremely righteous individual. The main conflict is over a practice of beseeching a tzadik who has already died to make intercession before the Almighty. This practice is common mainly among Chasidic Jews, but also found in varying degrees among other usually Chareidi communities. It strongest opposition is found largely among sectors of Modern Orthodox Judaism, Dor Daim and Talmide haRambam, and among aspects of the Litvish Chareidi community. Those who oppose this practice usually do so over the problem of idolatry, as Jewish Law strictly prohibits making use of a mediator (melitz) or agent (sarsur) between oneself and the Almighty. The perspectives of those Jewish groups opposed to the use of intercessors is usually softer in regard to beseeching the Almighty alone merely in the "merit" (tzechut) of a tzadik. Those Jews who support the use of intercessors claim that their beseeching of the tzadik is not prayer or worship. The conflict between the groups is essentially over what constitutes prayer, worship, a mediator (melitz), and an agent (sarsur). Tawassul is the practice of using someone as a means or an intermediary in a supplication directed towards God. An example of this would be such: "O my Lord, help me with [such and such need] due to the love I have for Your Prophet." Some Shi'a practice seeking intercession from saints, in particular from Muhammad's son-in-law, `Ali and `Ali's son, Husayn. A well-known Persian Shi'a hymn reads 'Z bandegi-ye 'Ali na-ajab bashar be-khoda rasad' ('It's not strange that man, through servitude to 'Ali, will reach God'). Sunnis consider this to be polytheism, but the practice of seeking intercession through Sufi saints is widespread, from North Africa to Pakistan. By the early twentieth century, the vast majority of Muslims were members of Sufi brotherhoods, taking part in local pilgrimages (ziyarat) and rituals to come into contact with intercessory ideas and persons, including dead saints. In the religion of the Serer people of Senegal, the Gambia and Mauritania, some of their ancient dead are canonized as Holy Saints, called Pangool in the Serer language. These ancient ancestors act as interceders between the living world and their supreme deity Roog. ^ Sokol, David F. (2001). The Anglican Prayer Life: Ceum Na Corach', the True Way. p. 14. ^ "Lutheran Church - Missouri Synod - Christian Cyclopedia". lcms.org. The performance of the Salatul Istisqa, the Islamic prayer for rain, in the parched bed of the Goulburn River in Denman, in the Hunter Valley, Sydney, Australia, 2003.